Mr. C.K. Shastri founded Intense Technologies – pioneering in the domains of digital transformation and customer experience – putting India on the global stage in enterprise software products. Mr. Shastri’s Intense Technologies odyssey began with the proverbial handful of dollars, a fecund imagination and limitless dreams. Under his leadership Intense grew from strength to strength to be eventually recognized as a global technology leader. He is passionate about business excellence, entrepreneurship and India's place on the global stage for excellence in enterprise software products. He believes in ‘leadership through transparency and empowerment’ and as a top management professional has set an example in corporate excellence by adhering to the best practices in management, leadership and motivation. Overall, he is a people person, passionate about building teams and mentoring miracles. 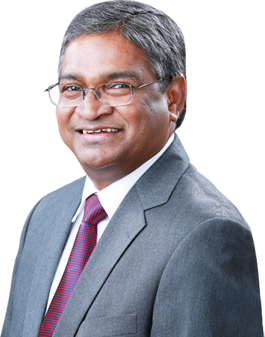 With his unrelenting thirst for growth, he has started two other companies – i-Trace and Pavisara: premier nanotechnology companies, which are into pain management (wearable medical devices) and mineral extraction from sea water respectively.